Giisamex Inc. provides design and construction management services to all of Pasadena and surrounding areas. Creating Beautiful, luxury residences while nurturing a close relationship with each client is the abiding philosophy and hallmark of the award-winning practice South Coast Architects, Inc. With an extensive portfolio of lavish lifestyle homes reaching across the coasts, into the mountains and deserts, the firm is known for a stylistic collection of diverse designs. 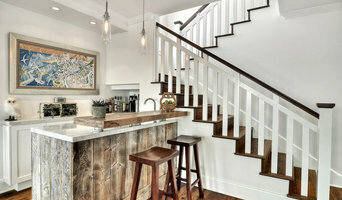 Respectful of the client relationship, attentive listening and careful observation of each homeowner's lifestyle is the branding identity of founder and principal Frank Stolz in creating unique, one-of-a-kind homes for each client. This confident quality of the partnership allows for a working atmosphere of greater creative freedom and superior end results that speak to the firm's excellence and cutting-edge philosophies. South Coast Architects, Inc. was established in 1992 with the mission of introducing leading-edge concepts. Mr. Stolz is a member NCARB, AIA, licensed in multiple states and has 24years of extensive experience in residential architecture. S.C.A. has been recognized for its award-winning residential designs and was selected as the Architect of the Year for the 1999 Western Idea House by Sunset Magazine as well as recently profiled in the books Dream Homes of the Desert, Extraordinary Homes of California, and the upcoming Residential Architects of the 21st Century. Thank you Houzz Community for voting us Best of Houzz for 8 consecutive years! Jeannette Architects is a full service custom residential architecture firm. We are committed to designing you a home that fits your style, is sensitive to the environment and will stand the test of time. We design new homes and remodels creating a healthy living environment, energy and water efficiency and a responsible use of materials. We wish to create for you and your family, the most beautiful home possible that lives comfortably. We are Licensed in California and Nevada and have worked on projects out of state including Colorado, Nevada & Arizona. Our Architectural fees range depending on the project. We're extremely detailed in our plan development that potentially reduces change orders in construction. We design remodels of all scales of construction costs from $200k up. We've designed new, quaint little homes of 1000 SF with impeccable detail on up to 9000 SF. Los Angeles Architect & Designer Won Best of Houzz 2013-2018! Dutton Architects is a boutique architectural firm providing exceptional levels of service to clients seeking modern, sustainable, and joyful homes. Our firm's process is dedicated to close collaboration and communication with each client by our principal, John Dutton. 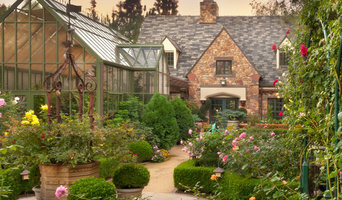 We create designs of the highest caliber that embrace the Southern California landscape, climate, and way of life. Every addition, large renovation, and new house is custom detailed. Since its inception in 1991 Michael Lee Architects has focused on the design and construction of primarily residential projects throughout the Los Angeles Basin. Serving as the principal architect or in collaboration with others, the firm has been honored by the American Institute of Architects and published internationally. In a construction management capacity the firm has produced a substantial body of cutting-edge buildings for numerous leading architects in Los Angeles including Dean Nota, Morphosis, Alison Wright, KAA, Muldar Katkov and Warshaw Architects. The current portfolio includes residential, mixed-use, office re-habilitation and restaurant work with the priority remaining on providing unique and dramatic solutions. A collaborative and inclusive spirit allows the buildings to become “hybrids” of modern and traditional styles or pure reflections of either. Whatever the “language” of the completed projects, the finished work reflects the vision of both the architect and the client. Michael Lee Architects believes in the process of exploration in Architecture and seeks potential beauty or magic in every building. Los Angeles Based High Quality Design | Best of Houzz 2017 & 2018! As a team of 8 creative architects and designers, we pride ourselves on design. Each member of our team has a unique skill-set and personality that, when combined, creates an unbeatable design force. We are a firm with LEED accreditation and incorporate green design thinking into every project, saving energy, time and the environment whenever possible. We approach every site from its own unique perspective and strive to incorporate our client's vision, resulting in elegant design solutions that exceed expectations. Premier Architecture and Interior Design Firm in Southern California. We strive to create a sense of place, not just space. Each project is tailored to the client's lifestyle. We "handhold" each client every step of the way, from finding the site to move-in. Our project types range from luxury residential to hospitality. Our current on-going projects include interior remodel, addition, ground up residences, horse ranch in the central valley and a luxury boutique hotel in Palm Springs. Largest repository of residential floor plans in CAD for Orange County, California. Full plan development services available to Homeowners, Architects, Engineers and Contractors. How do I find the best El Monte, CA architect for my home design or renovation project? When building or renovating your home, you don't simply hire an architect or building designer — you build a relationship with them. Be sure you chose a home architect who will be involved in all phases of the design process, from the initial concept to the completed construction. Architecture is an incredibly technical profession and one where getting things wrong can literally put lives at risk, so ensure you hire a professional with a valid license or an architectural firm to maintain high quality and standards. Your next consideration will be architectural style. Some residential architects specialise in designing traditional homes or farmhouses, others in designing modern replicas of traditional homes. While a few have a knack for imagining bolder, more futuristic architectural design in El Monte, CA that incorporates the latest technology. How much does hiring an architect in El Monte, CA cost? Home construction and renovation often have a preset budget and hence it is important to understand how much architects charge. While there is no set payment structure, independent architects may charge differently from architectural firms. Architects sometimes choose to calculate their fees on the basis of a per square foot rate. In rare cases, especially with smaller projects, El Monte, CA architects may choose to ask their clients for a fixed fee. Make sure the total figure and payment schedule is agreed as part of your contract, particularly if you are trying to accurately estimate the cost of building a house. Find a home architect in El Monte, CA on Houzz. Narrow your search in the Find Pros section of the website to El Monte, CA architects. You may also look through photos projects to find building designers in El Monte, CA who have worked on a project similar to yours.